The world’s largest concentrated solar energy system has been brought online this week. The Solana Generating Station, which was developed by Abengoa, is based in Arizona in the U.S. and boasts of a total capacity of 280 megawatts. Unlike similar solar energy systems, the Solana Generating Station features its own storage system with six hours worth of storage capacity. The energy system is being heralded as a major step forward for the concentrated solar power sector. Concentrated solar energy is beginning to gain more attention in the U.S. and throughout the world. This form of solar energy involves concentrating sunlight so that photovoltaic modules can generate more electrical power. This is typically accomplished through the use of large towers that are designed to magnify sunlight and direct it toward an array of solar panels. There are, however, variations on this design. In the case of Solana, sunlight is concentrated by an array of mirrors and use to generate heat. This heat is then used to create steam, which powers numerous turbines that generate electricity. Some 2,700 parabolic mirrors are used at the Solana Generating Station and these mirrors concentrate sunlight to heat a heat transfer fluid, which is synthetic oil. The fluid can reach temperatures beyond 735 degrees Fahrenheit. The fluid is used to boil water and generate steam in a process similar to most conventional power plants. What makes the Solana Generating System different from other solar energy power plants is its ability to store the heat generated by sunlight for up to six hours using hot and cold storage tanks filled with molten salt. The Solana Generating Station provides electrical power to Arizona Public Service, the largest electric utility in the state. Now that the power plant has been officially opened, the state’s solar energy capacity has been bumped up to 750 megawatts. 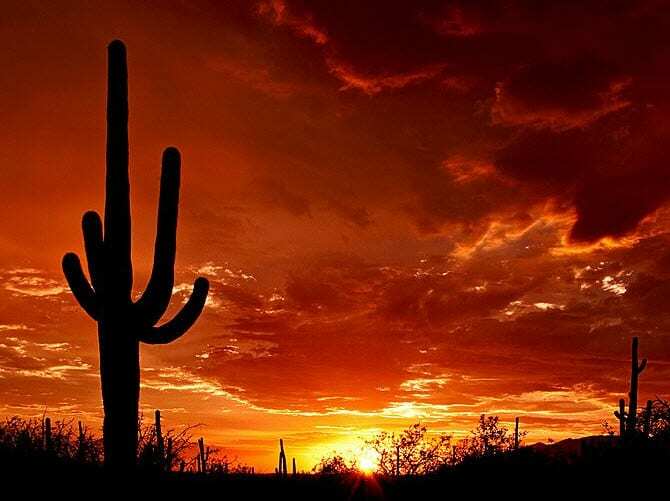 Like other states in the U.S., Arizona has plans to further increase its use of renewable energy and the state has become an attractive market for solar energy developers.